From fashion to five star hotels! The fashion house has partnered with Damac Properties to expand their luxury fashion brand into lifestyle. It isn’t the first fashion label to enter the hospitality market here in the Middle East, following in the footsteps of the Armani Hotel, Bulgari Resort and the Palazzo Versace. The Roberto Cavalli Group will collaborate with Damac to design the interiors for five luxury hotels that will be branded Aykon Hotels. The first extravagant hotel will be located in the thriving Dubai Marina area –as you can expect stunning views, infinity pools and a Roberto Cavalli boutique. The hotel décor will, of course, be sprawled in lavish animal print, with glamourous detailing and sleek furnishings. The essence of the Italian label will be stamped throughout the hotel –as we can’t to take a sneak peek inside. 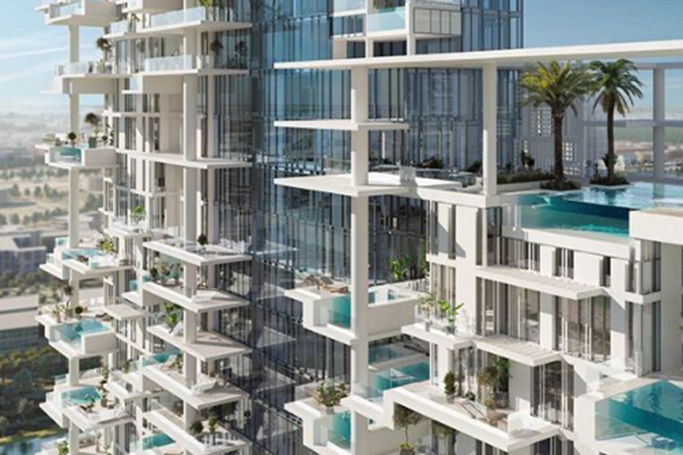 We can expect to see more interior design by Roberto Cavalli in Dubai, as the fashion house has also signed a separate deal with Damac for Cavalli-branded villas. We think Dubai is definitely the perfect place to showcase Cavalli’s branch into the hospitality and interiors industry. Roll on 2023 and the opening of the first Roberto Cavalli hotel!